The Nigerian Union of Teachers, NUT, has said its members will not celebrate this year’s World Teachers’ Day which comes up on October 5th. The NUT president, Alogba Olukoya, made this known on Tuesday while briefing journalists in Abuja. The day is marked every year to celebrate teachers and the teaching profession. 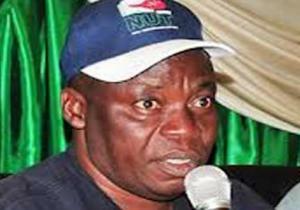 The NUT president said that the decision came in the face of the Ebola Virus Disease outbreak in Nigeria. Mr. Olukoya said instead Nigerian teachers would use that day to get ready for resumption, following the extension of the summer vacation by the Federal Government in the face of the EVD outbreak. He said the teachers would rather, on that day, take appropriate actions that would help in detecting an outbreak of the disease in schools. Mr. Olukoya stated that EVD prevention and care seminars for teachers were currently more relevant to the union than the usual yearly celebration. He further called on government at all levels to direct their respective Minster and Commissioners of Health to host the seminars for all the teachers in Nigeria. Following the recent outbreak of the EVD, the Minister of Education, Ibrahim Shekarau, had said that all the Ministries of Education were to ensure and organise at least two staff in each school both public and private to be trained by an appropriate health workers on how to handle any suspected case of Ebola.